With statewide budget cuts looming, a New York school district combed its school district’s budget line by line to find ways to save. In 2011, Chenango Forks Central School District was faced with school budget cuts made across the state of New York. This spurred the district’s Board of Education to take a closer look at the district’s budget. They discovered that the annual cost for diesel fuel was alarmingly high, raising concern for a school district with three schools and 30 buses. Chenango Forks Central School District began its adoption of propane school buses in 2012. Their first few propane buses were purchased with a rebate from the New York State Energy Research and Development Authority, and the state registered with the IRS to obtain alternative fuel tax credits. For the next six years, the school district purchased propane buses to replace diesel models. Its fleet now includes 17 Blue Bird Vision Propane school buses equipped with Ford engines and ROUSH CleanTech liquid propane fuel systems. Chenango Forks Central School District’s savings come in the form of fuel costs. On average, propane autogas costs up to 50 percent less than diesel. In October 2018, the district paid $1.46 per gallon of propane compared with $2.16 for diesel. In addition, the district capitalizes on federal tax credits. With propane autogas, no exhaust after-treatment or diesel emissions fluids are required like with diesel to meet today’s strict emissions regulations. Propane vehicles also don’t need particulate trap systems, turbochargers and intercoolers. Plus, propane uses less engine oil, For example, an oil change for a Blue Bird Vision Propane school bus uses 7 quarts compared with over 17 quarts for a typical diesel engine. However, since an independent contractor maintains the buses, the district doesn’t realize these savings. Propane buses have quieter engines. Vehicles fueled by propane autogas reduce noise levels by about 50 percent when compared to diesel, allowing drivers to focus more on the road ahead. The district’s drivers received training from ROUSH CleanTech on how to operate the propane buses. The district also provides a propane autogas manual to all drivers, holds safety meetings as needed, and has existing drivers help train new drivers. The drivers have expressed other differences, too. There is a short waiting time for the engine to start — typically 7 to 15 seconds, but may be up to 45 seconds depending on conditions such as engine off time. With liquid propane, once the ignition key is used, the liquid propane autogas system runs a fuel flush process, which takes longer than starting a conventionally fueled vehicle. And when the drivers fuel the propane buses, it is a different hookup that takes a bit longer. Chenango Forks Central School District initially installed a 1,000-gallon tank located onsite at its bus garage next to existing pump stations. The fueling was slow. After a couple years they switched to a provider that was more knowledgeable about fueling propane buses. They replaced the tank and made other changes that increased refill time to 12 gallons per minute. Recently the district added another 1,000-gallon tank to their station. They also are transitioning to the quick connect nozzle (often referred to as a Staubli) to make fueling simpler and quicker. Knowing the hurdles of fueling with propane, the district allows a neighboring district with one propane bus to use its facility. Now when they discuss propane buses with other school districts, both Peck and Dimatos suggest propane station infrastructure be a part of the research and planning from the beginning. ROUSH CleanTech has helped hundreds of its customers find and partner with local fuel suppliers. The school district has been pleased with its cost-cutting propane school buses. “For Chenango Forks Central School District, our propane school buses have been all wins,” said Dimatos. Blue Bird (Nasdaq: BLBD) is the leading independent designer and manufacturer of school buses, with more than 550,000 buses sold since its formation in 1927 and approximately 180,000 buses in operation today. Blue Bird’s longevity and reputation in the school bus industry have made it an iconic American brand. Blue Bird distinguishes itself from its principal competitors by its singular focus on the design, engineering, manufacture and sale of school buses and related parts. As the only manufacturer of chassis and body production specifically designed for school bus applications, Blue Bird is recognized as an industry leader for school bus innovation, safety, product quality/reliability/durability, operating costs and drivability. 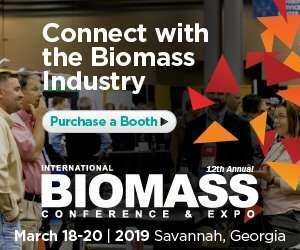 In addition, Blue Bird is the market leader in alternative fuel applications with its propane-powered, electric-powered and compressed natural gas-powered school buses. 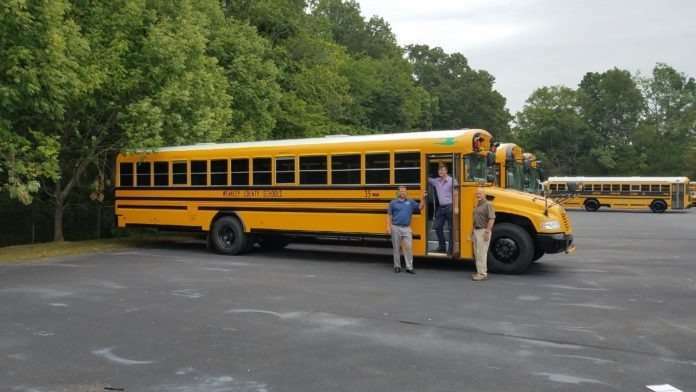 Blue Bird manufactures school buses at two facilities in Fort Valley, Georgia. Its Micro Bird joint venture operates a manufacturing facility in Drummondville, Quebec, Canada. Service and after- 4 market parts are distributed from Blue Bird’s parts distribution center located in Delaware, Ohio. For more information on Blue Bird’s complete line of buses, visit www.blue-bird.com. ROUSH CleanTech, an industry leader of alternative fuel vehicle technology, is a division of Roush Enterprises based in Livonia, Michigan. ROUSH CleanTech designs, engineers, manufactures and installs propane autogas and electric fuel system technology for medium-duty Ford commercial vehicles and school buses, and compressed natural gas fuel systems for school buses. As a Ford QVM-certified alternative fuel vehicle manufacturer, ROUSH CleanTech delivers economical, clean and domestically produced fueling options for fleets across North America. Learn more at ROUSHcleantech.com or by calling 800.59.ROUSH.